This week I had the opportunity to take a pie baking class sponsored by Driscoll’s with Kate Lebo, author of Pie School (#jobperk). 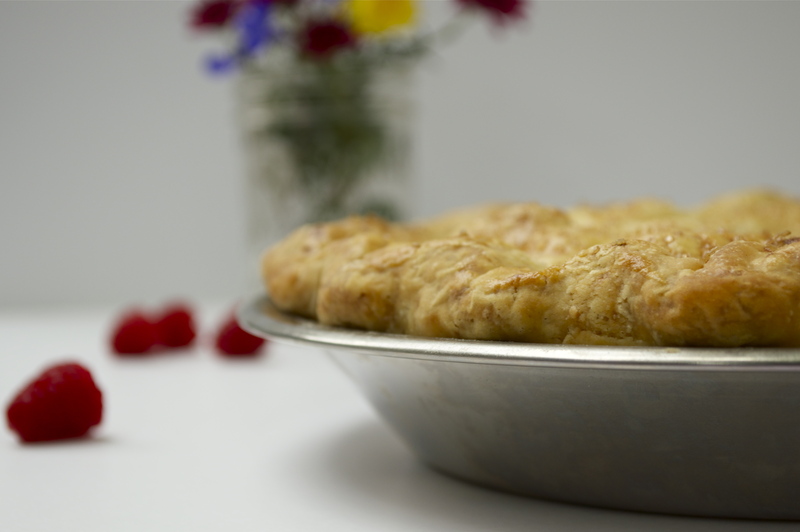 Not only did I have a fabulous time, but I learned the secret to baking the perfect pie…the crust. 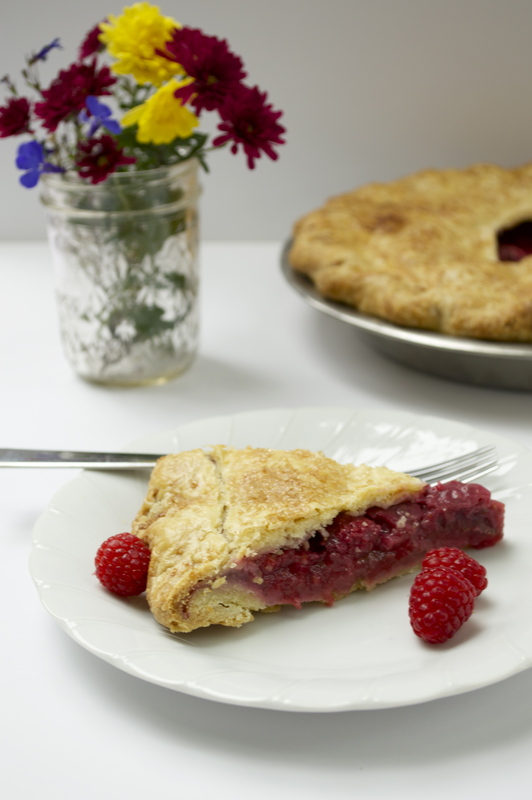 I’ve always thought that pie was all about the filling – it’s flavor, texture and consistency – but I now know, without a doubt, that truly great pie is only possible with the perfect flaky crust. 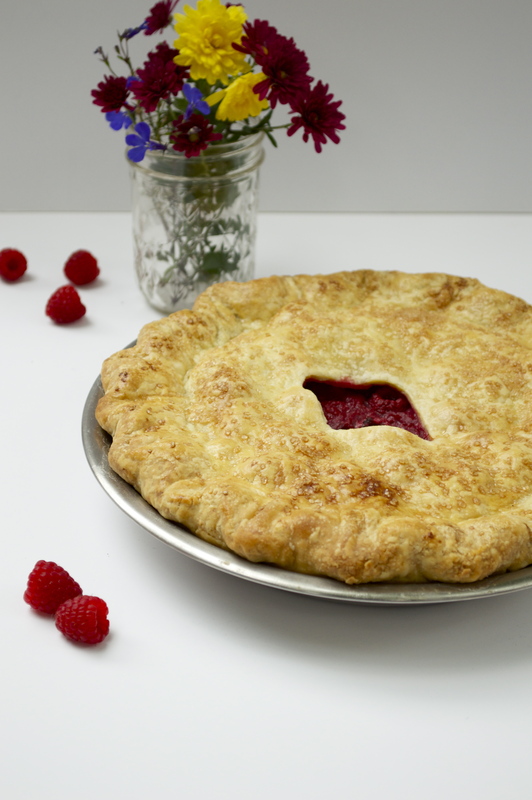 To quote one of Kate’s many morsels of pie-baking wisdom from the night, “Pie crust is like the original Tupperware.” It seals in the fresh ingredients, so when you bite into a slice you get all the fruity flavor. 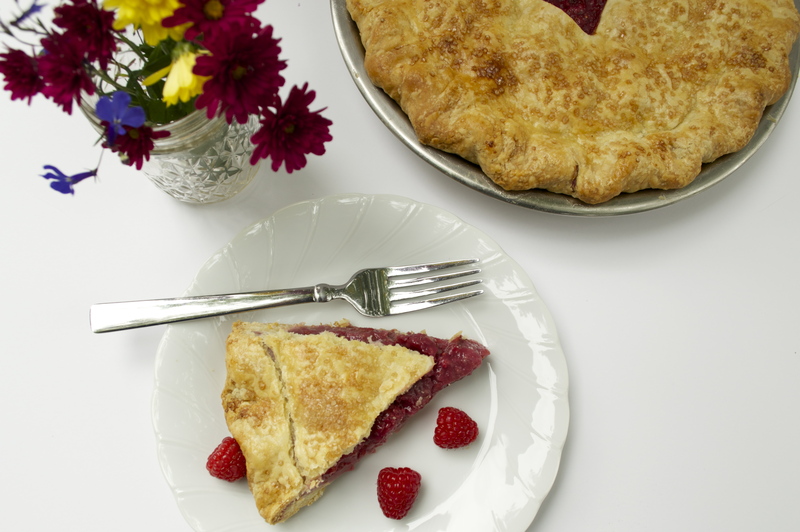 So today, I’m sharing Kate’s fool-proof pie crust recipe, which was the perfect “Tupperware” for her raspberry, fig and bay filling. Fill a cup with about 1 1/2 cups of water, add ice cubes, and place it in the freezer. You won’t use all the water in your crust, this method just allows the water to stay as cold as possible without freezing. As it chills, mix flour, sugar and salt in a large bowl. Cut butter into pieces (roughly 1 tablespoon each in size), and toss them in the bowl to coat with flour. Begin working the dough with your hands using a rubbing motion – scooping handfuls of the ingredients and smoothing together them as you run your thumb along the tips of the rest of your fingers (no kneading, please!). Continue doing this until the flour is incorporated and the mix is a pale yellow color (from the butter) and the tiniest bit damp. At this stage, the dough looks a lot like course cornmeal with a bunch of chunky bits mixed in. Then, grab the water from the freezer, and drizzle some into the bowl for about 5 seconds. Gently toss to distribute. Continue adding water in small parts and tossing until the dough reaches the right consistency. Here’s Kate’s trick to knowing when the dough is done: Make a small ball (about the size of a clementine) with the dough, and toss it in the air. If the ball crumbles when it returns to your palm, add more water and toss again. If the ball stays in tact, it’s time for pie. Split the dough into two equal halves, and shape them into disks quickly with your palms and thumbs. Wrap them in plastic and let them chill in the refrigerator for at least an hour. 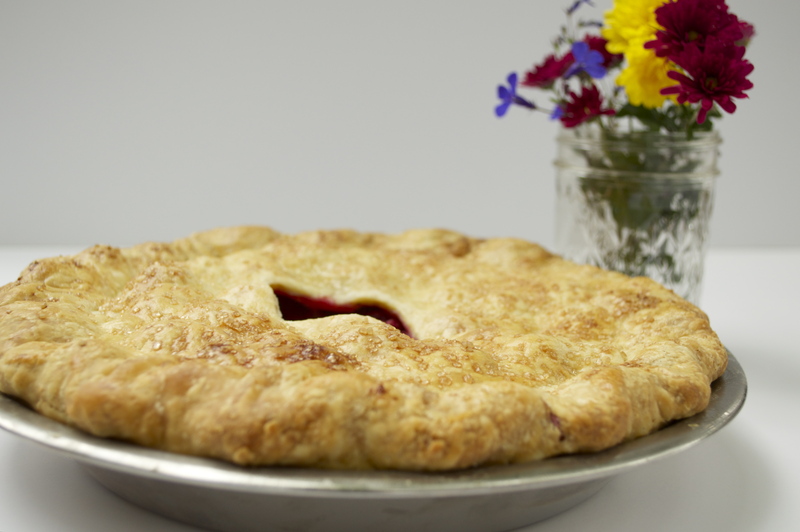 When you’re ready to bake, roll out the dough, place it in a pie dish and fill it with your favorite fruit filling. Then, add a few slits to the top of the pie for ventilation, brush with an egg wash, sprinkle with sugar and bake. For my pie, I baked it at 425°F for 10 minutes, then at 375°F for another 40 minutes or so until the crust was golden brown and the filling was bubbling. 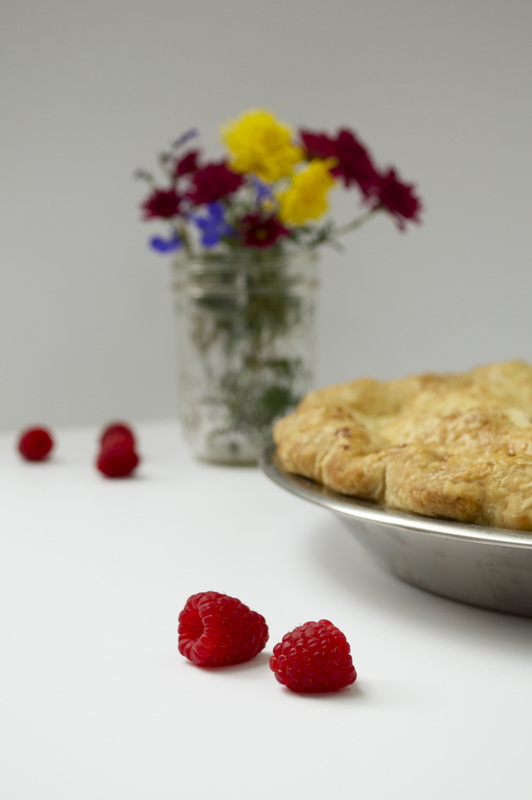 Get ready to have your favorite pie elevated to new heights with the addition of this buttery, flaky crust. After just one bite, I guarantee you’ll never reach for a frozen pie crust again. I firmly believe that if Lorelai Gilmore had eaten pie with a crust like this, she never would have turned down a date with such a delicious dessert. Maybe we’ll find out for sure in the Netflix reboot. Who says I can’t wear white jeans in November?